The NATO Mission was opened for the first time in Kyiv, near the US Embassy. NATO Secretary General Jens Stoltenberg and Vice Prime Minister of Ukraine for European and Euro-Atlantic Integration Ivanna Klympush-Tsintsadze took part in the opening ceremony of the new premises on July 10. NATO Liaison Office and Information and Documentation Center of the North Atlantic Alliance operate in the office. Earlier there was no such Diplomatic Mission in any partner country. “The new premises and the new working conditions of the NATO Mission will provide the more effective working together to help Ukraine in the process of its reforming and raising the defense capacity level”, Stoltenberg stressed. “The transfer of the security and defence sector to NATO standards, awareness-raising, practical and sectoral cooperation are principles of Euro-Atlantic integration of Ukraine that are our priorities”, Ivanna Klimpush-Tsintsadze noted. “NATO establishes such an unique Diplomatic Mission in a partner country, in the country that has a special status for the first time,” I. Klimpush-Tsintsadze added. It is a big step forward in cooperation with the North Atlantic Alliance for Ukraine. 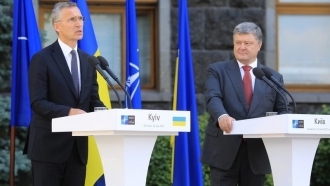 But in general it is early to talk about Ukraine joining NATO and the accession does not mean the solution of all security issues, according to the Vice Prime Minister. 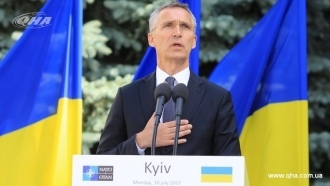 Earlier QHA reported that NATO Secretary General Jens Stoltenberg imtends to provide Ukraine with equipment to determine the sources of cyberattacks.